It is now late 2010. 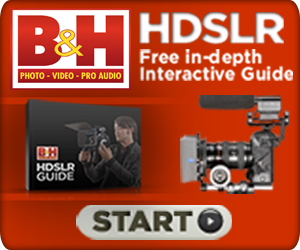 We’ve seen all the new HDDSLRs (vDslrs) for the year. As usual, we continue to see the same old problems come up in new models, and even other new problems arise as well. Here’s why the Hacked GH1 is still your best bet. Sure, these may be fixed in the retail model come December, but at this point don’t count on it. Hacked GH1 vs Canon 60D. The 60D is a perfectly viable choice if you don’t have the cash for a 7D. The image quality is good, and is exactly the same video picture that is present in the t2i, 7D and 5D. That is to say, in 1080p mode your really only getting a little better than 720p resolution, and compared side-by-side in video mode, all of the Canon cameras look blurry compared to the Hacked GH1. The GH1 has no been around for over a year, and people know things can get pretty ugly. – In the dark, FPN takes over the picture and makes it unusable outside of Neat Video. Still, even with these drawbacks, I dare you to compare the 1080p and 720p modes of the hacked GH1 to any other still camera available today. Oh and I expect the AF100 to walk on water and perform all sorts of miracles, but for that we still have to wait a few months, unless Panasonic sends one our way for testing.